The night before my first day at RECLAIM I was nervous and apprehensive, however there was no need to be! As I was shown around by (the lovely) Ruth I was greeted by many more friendly faces, all of which made me feel really welcome. I spent the morning creating a database on all the different youth organisations that could possibly work alongside RECLAIM, and with the advice of Rod I scoured through twitter to find similar charities. I found my first day was totally different from what I was expecting and I was then excited and ready for my second day at RECLAIM. For my second day, I spent the morning continuing the organisations database and continued to find more charities that could be added to the long list! At lunch I went to McDonalds and ate 20 chicken nuggets and when I returned I began my next task. I completed research and gathered the information I needed to create a one-page document on Owen Jones, this was to inform the young people about exactly who Owen Jones is, what he does and what he believes in, including quotes and pictures of Owen himself. After this I helped tidy up the office by organising sheets, tidying desks and putting manifestos into the correct boxes. My first week at RECLAIM was now finished! I had met mostly everyone and found that everyone was really warming and inviting, everyone took time to introduce themselves and made sure I knew that if I needed anything I must not hesitate to ask. It was a new week and as I turned on the computer I was greeted with an extremely long email from Ruth which stated all my tasks for the day. Knowing how much there was to get through I began straight away. Firstly, I researched into UK food festivals, the most popular, where they are, who attends and what food they offer. I created a word document to present all this information as well as reviews from people who have attended. Once I had completed this I created another document, this time about RECLAIM patrons. This was to inform young people about who is supporting RECLAIM and exactly what a patron does. I researched each patron and noted what they do and what their achievements are. After lunch I came back to the office and made a database on the top 20 Manchester companies, this had to include their contact details, a line about what they do and the name of their CEO. This was to get an idea of who RECLAIM could approach to request if they would like to become involved with the charity. Once I had done this, I made my first professional phone call! I was nervous beforehand and the pressure was on but Sarah gave me some great advice and helped me to get it right, and the phone call went perfectly! Once I had this information from the phone call, I created a database for Becca to fill in with all the information 34sp needed. Finally, I emailed people I know a short questionnaire about Adswood and Brinnington, and awaited the answers to arrive the next day as 4:30 came and my day had finished. At 9am I accompanied Ruth and Terry to a meeting in which I took notes and found very interesting as it was all about young people learning how to network and as a young person myself I thought this meeting was very intriguing. After this I added two more famous faces onto the RECLAIM patrons sheet who are not yet patrons however we would like to get on board. After lunch the new Chair of RECLAIM arrived and I attended a big meeting which all other RECLAIM staff also attended. It was informative, however the room was too hot :(. A mini task was set in the meeting and I worked with Roxy to find out how our work effects one another, this was interesting as I had never thought about this before. After the meeting it wasn’t long until it was time to go. I now have only two days left at RECLAIM and although this week had been busy I thoroughly enjoyed it! When back at the office I printed the Owen Jones fact file and made sure there was the correct number of sheets and RECLAIM postcards ready to go. 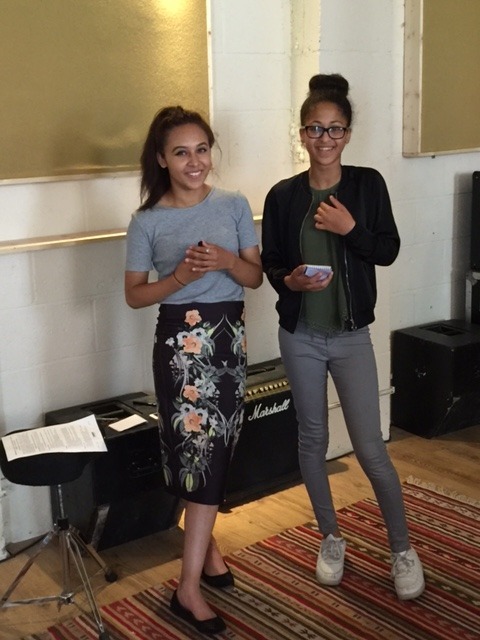 I collected the camera and laptop-making sure they were both charged then headed out for lunch when I again ate 20 chicken nuggets and went to Pound Land to collect some notepads for the young people to make notes throughout the Owen Jones session. After lunch I headed over to the venue with Becca and joined in with the young people’s activities. It was fun to again meet some new people who I had never met, I had a laugh and thought everyone was really nice. 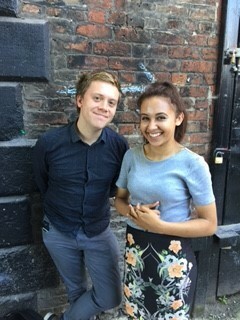 When Owen Jones arrived he was not what I expected! In my head I thought he would be much more official and proper however he was really down to earth, had a great sense of humour and was a really infectious person to be around. We discussed ideas for #TeamFuture and some great things came out of it. I thought the other young people were really intelligent and I could tell everyone took a huge interest in the conversations going on. Today is my last day! 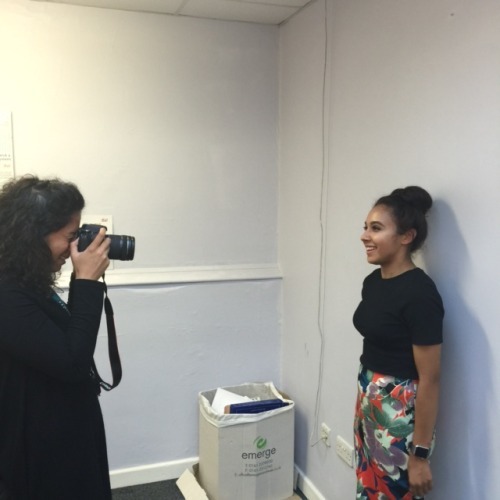 I will be sad to leave as I have met so many amazing, friendly people and each week coming to the RECLAIM office has been enjoyable and although it is work it is a cheerful environment which makes the work part so much better. The best part of working at RECLAIM has been meeting all other staff. It is clear how passionate each and every staff member at RECLAIM feels about the young people and I can see this by how hard they work and how highly they speak of each young person. I have learnt about the successes of the young people who have gone on to accomplish amazing things and RECLAIM should be proud as a charity of what they have achieved. I have also learnt that the stigma of work being boring is so wrong! This workplace is so much fun and I am so glad to have had the opportunity to work at RECLAIM.